The main purpose of this report is to analyze the working capital management practices of Square textile limited. Other objectives of the study are to observe profitability and liquidity in case of working capital management and observe the position of debt fund out of total fund. Here also appraise the performance of this company through ratio analysis. Finally determine problems and provide suggestion which would help to improve the situation. Working capital management is one of the major issues of corporate finance. The success of any manufacturing company largely relies on the efficient management of working capital. There are different theoretical developments and empirical issues but there is no unified rule that can determine the optimal level of working capital. From the viewpoint of developing country like Bangladesh the role of working capital should be highly emphasized. But our country is characterized by low level of capital market development and inefficiency of financial market. In such a situation, it is hardly possible to have the desired funds to maintain the liquidity of business by collecting and investing funds as and when required. The available literature suggests that static focusing on working capital management is not extensive in Bangladesh. The study although will not give a clear idea to draw a conclusion about the working capital management policy and practice of Bangladeshi Firms but will definitely give an overall idea about working capital management practice of the particular industry in Bangladesh. This report focuses on the working capital management of a reputed textile firm of Bangladesh. In this regard, we have selected Square Textile Ltd. We tried to link our findings in working capital in Square Textile Ltd. and theoretical aspects. We have found some similarities and some dissimilarity in this regard. We have particularly pointed in the inventory management, liquidity management and credit policy of the company. Overall working capital management of square textile has been stated in detailed. To observe profitability and liquidity in case of working capital management. To observe the position of debt fund out of total fund. To appraise the performance of this company through ratio analysis. To determine problems & provide suggestion which would help to improve the situation. Working capital management is one of the central issues of corporate finance. The success of any manufacturing company largely relies on the efficient management of working capital. There are different theoretical developments and empirical issues but there is no unified rule that can determine the optimal level of working capital. From the viewpoint of developing country like Bangladesh the role of working capital should be highly emphasized. But our country is characterized by low level of capital market development and inefficiency of financial market. In such a situation, it is hardly possible to have the desired funds to maintain the liquidity of business by collecting and investing funds as and when required. In general working capital refers to all of these assets and liabilities. Frequently by the concept of working capital it is meant that the net amount of working capital which is the difference between current assets and current liabilities. Conservative Approach: When a firm follows a conservative approach, it depends more on long-term funds for financing needs. The firm finances its fixed assets, permanent current assets and also a portion of temporary current assets with long term financing. This approach is also known as traditional approach. In this approach, the Current ratio (Current Assets : Current Liabilities) of a firm should be 2:1. Matching Approach: Under matching approach, long term financing is used to finance fixed assets and permanent current assets and short term financing is used to finance temporary current assets, thereby making the average net working capital equal to zero. Aggressive Approach: Under this approach, firm uses more short term financing. The firm finances its temporary current assets and also a part of permanent current assets with short term financing. Some extremely aggressive firm may also finance a portion of fixed assets with short term financing. Theoretically it implies negative working capital or a situation where firm’s long-term assets are financed through short term capital. Getting right raw material supplied in right time. Wages and utility bills are properly cleared. Customers are smoothly getting their demanded good and services regularly. In a perfect world with equal borrowing & lending rate along with completely certain forecast of demand & supply of goods of sold $ services, there is no need for having inventory accruals & other Current Assets & Liabilities. But in real world situation with full of uncertainty costly information, limitation in production capacity expansion, and the manager must maintain provisions for the enforcing events that is the manager must maintain some inventory of liquidity as well as inventory of raw material and finished goods. Cash flow is the business’s life blood and every manager’s primary task is to help keep it flowing and to use the cash flow to generate profits. If a business is operating profitably, then it should, in theory, generate cash surpluses. If it doesn’t generate surpluses, the business will eventually run out of cash and expire. The faster a business expands the more cash it will need for working capital and investment. The cheapest and best sources of cash exist as working capital right within business. Good management of working capital will generate cash will help improve profits and reduce risks. The cost of providing credit to customers and holding stocks can represent a substantial proportion of a firm’s total profits. The dotted part of the above diagram shows in a simplified form the chain of events in a manufacturing firm. Each of the boxes in the dotted box of the diagram can be seen as a tank through which funds flow. These tanks, which are concerned with day-to-day activities, have funds constantly flowing into and out of them. The chain starts with the firm buying raw materials on credit. In due course this stock will be used in production, work will be carried out on the stock, and it will become part of the firm’s work in progress (WIP). Work will continue on the WIP until it eventually emerges as the finished product. As production progresses, labor costs and overheads will need to be met. Of course at some stage trade creditors will need to be paid. When the finished goods are sold on credit, debtors are increased. They will eventually pay, so that cash will be injected into the firm. Each of the areas- stocks (raw materials, work in progress and finished goods), trade debtors, cash (positive or negative) and trade creditors – can be viewed as tanks into and from which funds flow. The business will have to make payments to government for taxation. Fixed assets will be purchased and sold. Lessors of fixed assets will be paid their rent. Shareholders (existing or new) may provide new funds in the form of cash. Some shares may be redeemed for cash. Dividends may have to be paid. Interest obligations will have to be met by the business. Unlike movements in the working capital items, most of these ‘non-working capital’ cash transactions are not everyday events. Some of them are annual events (e.g. tax payments, lease payments, dividends, interest and, possibly, fixed asset purchases and sales). Others (e.g. new equity and loan finance and redemption of old equity and loan finance) would typically be rare events. Daily Transaction Needs – Cash in the form of non-interest bearing currency and checking deposits is being hold by the firm for transaction demand. Since debts are settled by the exchange of cash, the firm must hold some cash in the bank to pay suppliers. Cash for Hedging – The firms future cash needs for transactions purposes are often quite uncertain. The firm needs immediate cash if emergency arises. So, the firm must hedge against the possibility of those unexpected needs. One of the hedging strategies is to hold extra cash and near cash assets to fulfill the emergency transaction demand. Temporary Investments – Many firm experiences some seasonality in sales. When such firms have excess cash that will be needed later, the firm will temporarily invest the cash in interest earning marketable securities from the time the cash is available until the time it is needed. Proper planning and investment selection for this strategy can yield a reasonable return on such temporary investments. Estimation of borrowing and lending needs. Dealing with uncertainties during these periods. Holding a stock of extra cash. Holding a stock of near-cash assets. Investing temporary surpluses in near-cash assets. Using option and future market. It is one of the oldest forms of credit arrangements. From ancient time traders allowed its trusted customers to buy goods on credit. In modern age the trade credit is considered as the integral part of all business activities. The trade credit is extended not surely for historical reasons. Informational gap regarding product / service quality. To facilitate payments through systematic and reliable means. Credit granting decisions involved with two decisions. These are – which customer of the firm will be granted credit in exchange of goods or services and which customer will be required to pay cash. Solvency of the firm and the owner. Length of life of the firm and the industry. Whether it is a related or unrelated industry. Past dealings with the firm. Frequency of dealings with the firm and other competitors in the industry. Whether the party is genuine or fake. Capital of the customer or firm. Collateral of the customer or firm. Capacity of the customer or firm. No link to shareholder’s wealth maximization. Difficult for the inexperienced analyst to execute. The overall relationship between a firm’s available cash and its potential cash needs (i.e. for liabilities) is known as firm’s liquidity position. This liquidity position represents a firm’s gross hedge to meet cash needs for current liabilities to minimize chances of a cash stock out situation. Inventory itself is physical in nature but its management is absolutely financial issue. The other types of current assets include account receivable, prepayments etc which are absolutely financial in nature. Whatever may be the sources of such inventory, as it involves bulk area pretty often and involves significant portion of current assets of a firm so it deserves special attention. Economic Order Quantity is the most advantageous amount for the firm to order each time. It is only applicable to those inventory situations when the above assumptions are undertaken. There are only two types of cost: carrying cost and ordering cost. There are no cost that are indirectly proportional to the amount of inventory held and the price per unit of inventory obtained does not vary with the amount of inventory received. Stock out cost are modeled separately are not considered in the EOQ model. There are no lead times of any length. The replenishment rate is finite. Inventory of the firm mainly consists of raw materials of the products and packing materials. 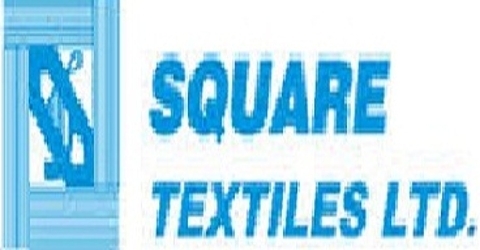 Square Textile Ltd. mainly concentrates on inventory of raw materials and packing materials. But its inventory stocks consists of raw materials, packing materials, raw materials in transit, work-in-process, finished goods, waste cotton, spares& spares in transit.. Inventories are bought from foreign market as well as from local market. All packing materials are purchased from local market. It helps to avoid price changes for these goods. The firm may order and keep additional inventories of raw materials to take advantage of quality discount. A major reason that firm keeps work in process inventory beyond the minimum level is to buffer production. One reason to keep finished goods inventory is to provide immediate service to the customers. A second reason to keep finished goods inventory is to stabilize production. Where, a is a coefficient representing the sum of all costs that are directly proportional to the level of inventory. Where, f (inventory level) means that cost is a function of inventory level, with the particular mathematical relationship depending upon the type of cost being considered. Where, c is a coefficient representing the sum of all the costs in this type. Where Pa is the unit price for the quantity ordered by the firm and S is the yearly usage of the good. Another cost that is dependent on the firm’s inventory strategy is stockout cost. Stockout cost occurs when immediate service is required but inventory is unavailable. Usually a minimum amount of spoilage occurs for holding inventory. But ordering cost and carrying cost of inventory is considerable in case of materials purchased from foreign market. Materials that are purchased from local market incur less amount of both direct and indirect cost of holding inventory. Stock out cost is a common problem for the firm. This happens because of low predictions about market demand. A good prediction about market demand and safety stock position can alleviate the problem. But the firm does not have a good policy for maintaining adequate safety stock. Another problem for not meeting up the market demand is a long lead time, which helps to fail the fulfillment of demand. Where the cost of merchandise purchased during the year is debited to a Purchases account, rather than to the inventory account. When merchandise is sold to a customer, an entry is made recognizing the sales revenue, but no entry is made to reduce the inventory account or to recognize the cost of goods sold. The inventory on hand and the cost of goods sold for the year are not determined until year end. At the end of the year, all goods on hand are counted and priced at cost. The cost assigned to this ending inventory is then used to compute the cost of goods sold. The only computation that is kept up to date in the accounting records is the purchases account. The amounts of inventory at the beginning and end of the year are determined by annual physical observation. The creation of inventory whether on cash or credit purchase requires some time to be delivered. This time from order placing to delivery at firms shipping dock is called creation lag. If this time lag prolongs than expected then it affects the overall inventory turnover ration of the firm. Hartals, and strikes particularly in the port area make the creation lag possible to be longer. For this reason Square Textile considers this lag significantly while making any inventory decision. Once an inventory is delivered, it is not out right sold out. It requires some time for these inventory to be resold before that it must be either subject to further production or otherwise waiting for being sold. This time from delivery by supplier to delivery to the customers are known a storage lag. This lag can further subject to production lag. Square Textile tries to forecast the market demand of its goods and then takes inventory decision to minimize risks. Inventory stocks comprise of raw materials, packing materials, raw materials in transit, work-in-process, finished goods, waste cotton, spares& spares in transit. Stocks are valued at the lower of cost and net realizable value. Value of stock other than stock of finished goods represents weighted average cost. Finished goods are valued at lower of cost or net realizable value and include allocation of production overheads while works in process are valued at material cost. A} Sales Forecasts: Sales forecast helps the firm to plan for production which ultimately helps in deciding the level of inventory to hold. B} Production Plan: As described above, the production or sale plan of a firm determines how much inventory will be required by a firm for its production or sales purpose. C} Socio Economic Factors: Some factors fiscal and monetary policy of the country, political instability are considered by the square textile to forecasts sales volume which finally affect the inventory management decision. D} Technological Consideration: Inventory in textile industry involves highly sophisticated items. Hence the possibility of obsolescence enhances and so the level of inventory should be kept low. Arbitrage is a process. If there exists perfect market and if there are also any distortions in the market, then this price difference is avail by the traders. If firms operated in perfectly competitive capital markets, there would be no financial impetus for trade credit. But in reality capital markets are most of the times are not perfectly competitive. Buying firms may not be able to economically replicate the delay in payment that is inherent in the trade credit. When such imperfection occurs, trade credit can serve as a conduit for funds from the capital markets to buying firms. Sellers can borrow in the capital markets then lend to buyers via trade credit. This process of borrowing cheaply by the sellers in order to re-lend to buyers substitutes for buyer excess to the capital market and thus it is a kind of financial arbitrage. when the payment is delayed until some time after the goods have been received, the buyer has the opportunity to count and inspect the goods. If the goods are not up to the required standards, the buyer may pay partially or not pay at all until the defect is fixed. It the buyer pay cash for the goods then much of the leverage is lost. Theft can occur if employees deal with large sums of money. Delivery personnel can loss certified check presented on delivery. i) Estimation of demand of the product: firms use terms of sales to stimulate demand for its product by lengthening the payment period when demand is less than expected. Similarly, firms shorten terms of sales to curtail demand when it is more than expected. ii) Buyer’s default: This explanation centers on the use of cash discount amount, cash discount date and net date to obtain information regarding the probability of buyer’s default. Buyers who don’t take advantage of generous cash discount may be more prone to default. Terms of sale: terms of sales must be same in almost all cases for all customers. Consistent with law: terms of law must not violate any law of land. Example: anti trust law to protect from monopoly business. The cash discount -the amount of discount allowed for payment within a specified period of time. The period of time this discount is to be allowed. The net date –the due date of invoice is the cash discount is not taken. Optimum terms of sales: Firm has a set of optimum terms of sales that results in the highest possible net present value to the selling firm. Firm must find out those optimum terms of sales that maximizes its wealth. Traditional one period evaluation technique: it is also known as standard approach for change in term of sale. Square textile Ltd does not follow strictly any 2 of these methods. They mainly follow industry norm and experience in this business arena. Minimum credit period Square Textile is 180 days. Square Textiles has many foreign buyers as well as local buyers to whom it grants credits. Local buyer do not hold a good percentage of total sales. Some significant foreign buyers for Square Textile ltd are PUMAH, GAPE etc. In a wealth maximizing approach to the credit granting decision, the selling firm evaluates the cash flow that would result from granting credit to a credit applicant versus that would result it credit were not granted to that applicant. As in terms of sale analysis these cash flow results from the cost and revenue effect of the decision. These are changer in sales and collection the cost of production, bad debt expense and so forth that are contingent on the granting or not granting credit. One of the cheapest and most reliable sources about expected future payment patterns extracted from the customer’s history of dealing with the seller. The professional credit information sources such as financial information about vary wide range of buyer including individuals and firms. Expensive way of gathering information from credit applicant’s bank and other creditors but these sources is reliable too. It is testing the ability of generating the ability or repayment of debt. One of the most expensive source that give information about the management of the of the firm directly. The overall relationship between total short term assets and short term liabilities determine the size of gross hedge of a firm. This overall relationship between the potentially available cash and its potential cash needs is called the firm’s aggregate liquidity position. Liquidity can be thought as the firm’s ability to quickly generate cash versus the firm’s need for cash on short notice. The following ratios are traditionally used to measure the liquidity position of a firm, though each of the ratios has some limitations. This is the ratio of current assets to current liabilities. The higher the ratio, the more liquid the firm is said to be. Financial statement analysis is a judgmental process. One of the primary objectives is identification of major changes in trends & relationships and the investigation of the reasons underlying those changes. The judgment process can be improved by experience and the use of analytical tools. Probably the most widely used financial analysis technique is ratio analysis, the analysis of relationships between two or more line items on the financial statement. Financial ratios are usually expressed in percentage or times. Generally, financial ratios are calculated for the purpose of evaluating aspects of a company’s operations. In this report we have tried to use different aspects of financial performance analysis to determine the better usage of available resources and how well it manages its cash and other working capital in day-to-day operations of the firm. We have conduct time series analysis to measure the aggregate liquidity position of square textiles ltd. from this analysis we have found that the traditional measures shows a good liquidity position but when we have calculated the improved indices for measurig liquidity, all the indices except net liquid balance are showing the firms weakness in management of liquidity. Managing inventories efficiently using computerized database management. Reducing the cost of sales by efficient management practice. Managing the company’s fixed as well as current asset efficiently to generate smooth operation. Accelerating the sales volume through effective marketing and distributing channel. Accounts Receivable Turnover Ratio is showing that the company is requiring lesser time to collect cash from its creditors. In spite of increased receivables the increment in the ratio is an indicator of improvement in the efficiency of turning the receivables into cash quickly and is a good sign for the company and it will be able to avoid liquidity crisis. Restructuring the capital format in such a way so as to the company can add some leverage to its capital structure.